The Sublime Lama's June 2011 teachings on the Sublime Yogi Milarepa, as well as his public talk on the nature of happiness, and his Refuge Ceremony... were no less than, yes, sublime. 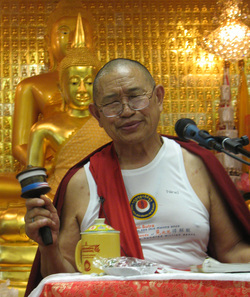 Below are a series of photos from these teachings, most of them from the Refuge Ceremony. Please enjoy them. Other photos may be added as they become available.